Coming from highway no. 7: Take exit no. 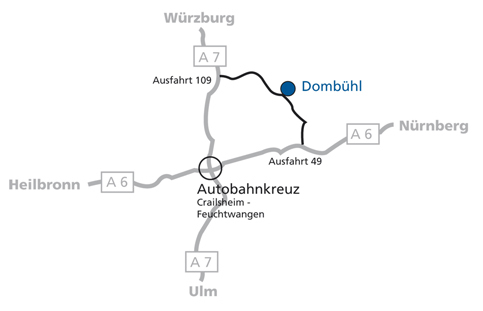 109 and head for Dombühl. At the city limit please turn right and after 500m turn left into the industrial estate. Coming from highway no. 6: Take exit no. 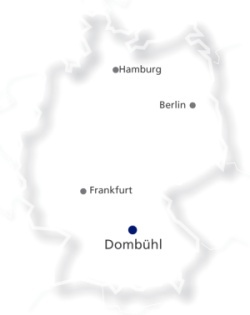 49 and head for Dombühl. At the city limit please turn right and after 500m turn left into the industrial estate.